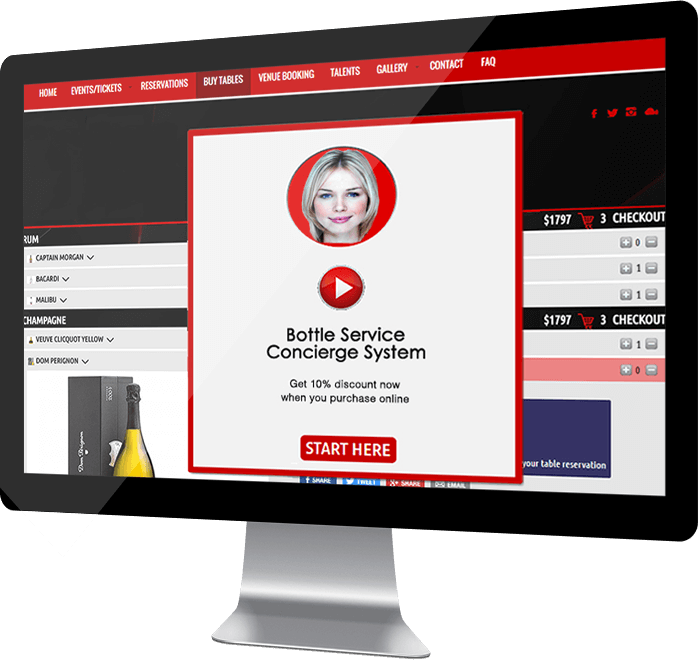 The first and only automated bottle service concierge system with a voice guide. Receive revenue instantly on your business bank account. Get organized CRM: Guest Photo, Email, Phone & Booking date/time. Fully functional on Web, Mobile & Facebook pages. Sell More, Work Less, No emails back & forth, No promoters cost.